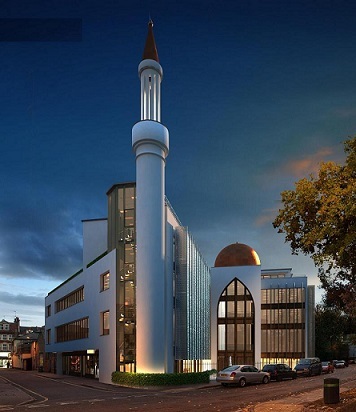 The West London Islamic Centre (WLIC) is a thriving Mosque and Community Centre in the heart of a vibrant, multicultural community. After 20 years at its current site in Ealing, it’s vital service provisions and activities were being hampered by a building that was too small and in an increasingly poor state. In May 2014, following a carefully considered approach, planning consent was granted, on first application, for a new 53,000 sq.ft purpose-built facility, contemporary in design but with a clear traditional Islamic influence. Sustainability, community welfare, education, enterprise and maintenance efficiencies were at the heart of the design proposal. By the Grace of God, construction is now finally underway following demolition works in October 2017. In the spirit of our Islamic sources (The Qur’an & Sunnah), the institutional purpose and function of the new Centre will be to empower Muslims to achieve full potential in all their spiritual, educational, physical and socio-economic domains. And importantly, to inspire them to serve and positively participate in our wider community. Financial independence is a key aspect of the WLIC business and redevelopment plan. We invite you to become part of this exceptional project and help us build a modern and visionary facility that future generations can be proud of. Please browse the site to discover more about the Centre, its history and its aspirations and importantly, on how you can make a difference. Thank you for your consideration and we look forward to inviting you to one of London’s largest Centre’s of peace, faith and cohesion.